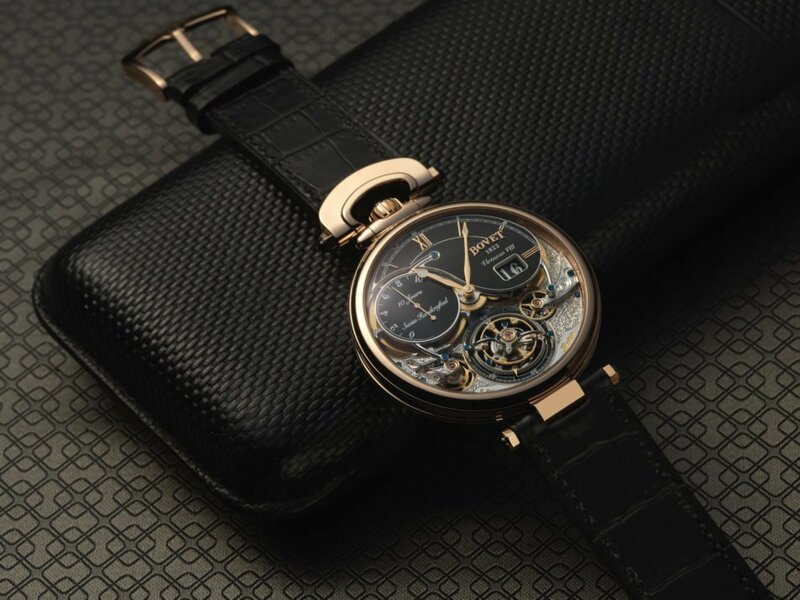 No matter how much the world advances technologically, the traditional craft of horology, with it’s immaculate mechanical detailing & expertly mastered production techniques, is here to stay. 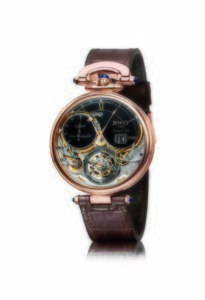 No matter how much the world advances technologically, the traditional craft of horology, with it’s immaculate mechanical detailing & expertly mastered production techniques, is here to stay. We were extremely privileged to witness this craftsmanship first hand, at the much esteemed SIHH 2017 in Geneva, earlier this month. 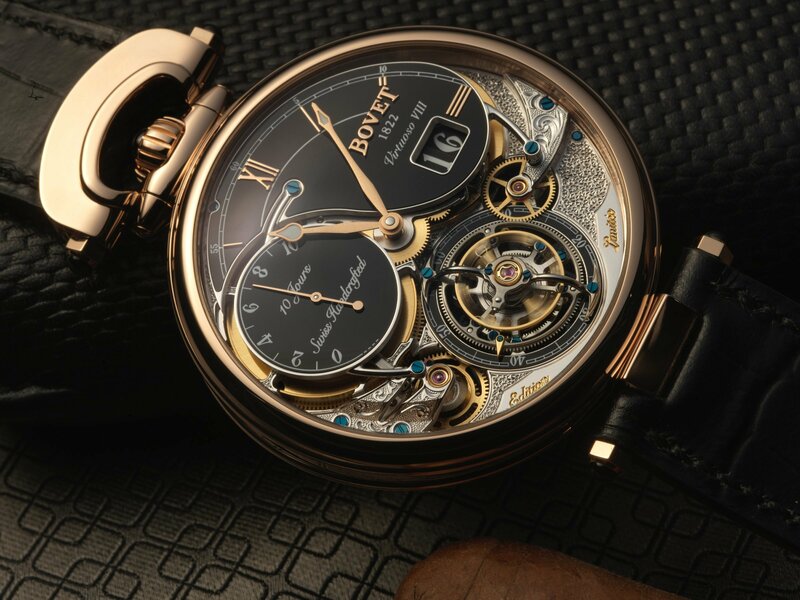 On a private tour with one of the most prestigious Swiss watch brands, Bovet 1822, we discovered what the art of chronometry truly entails through a selection of exclusive (& extremely beautiful) watches. The Virtuoso VIII perfectly celebrates the brand’s heritage, combining the signature characteristics of reliability, chronometry & decorative arts. Amongst the many spectacular Bovet 1822 pieces which we saw, one of our favourites was the absolutely stunning Virtuoso VIII. 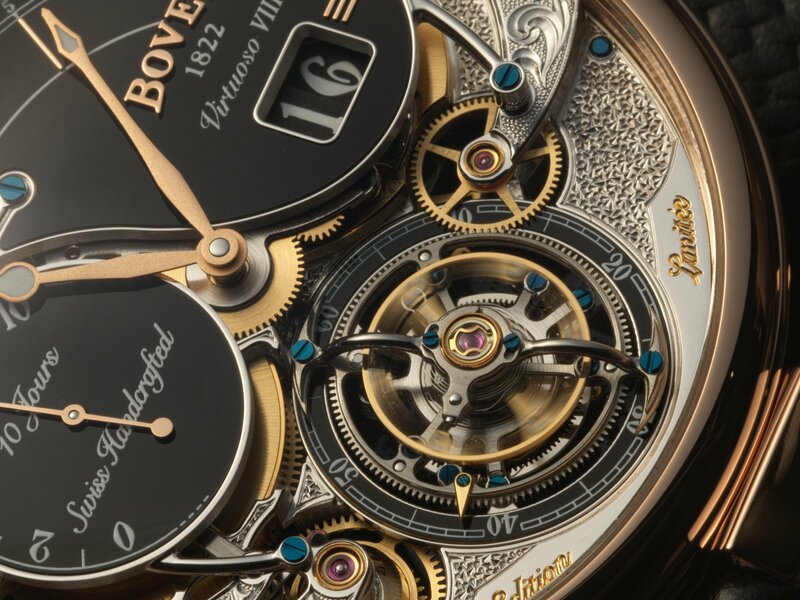 A 10-day Flying Tourbillon Big Date, this watch perfectly celebrates the Bovet 1822 heritage, combining the signature characteristics of reliability, chronometry & decorative arts (what else could we ask for?). Beautifully demonstrating the brand’s amalgamation of complex functions with magnificent aesthetic, this is one watch that we’d love to own. Another one of our favourite pieces (& definitely one of the highlights of the showcase) was the Récital 20 Astérium. 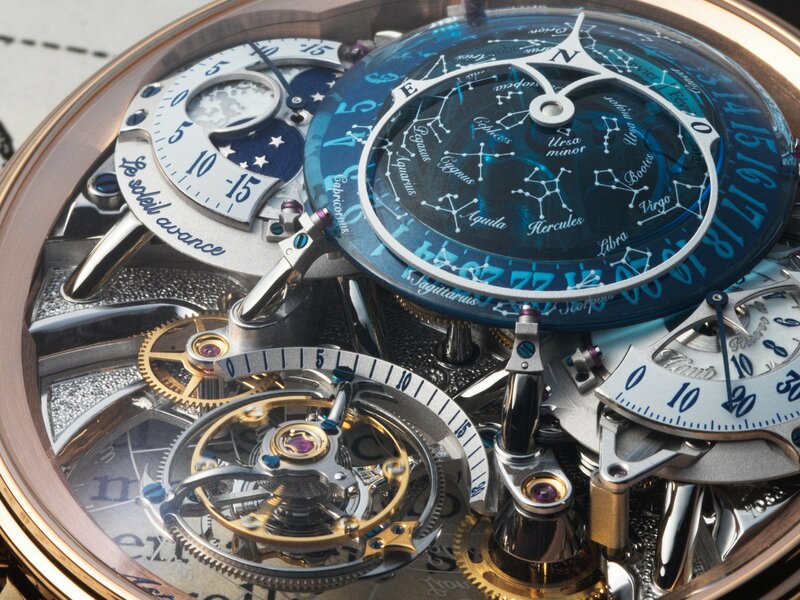 Another 10-day Flying Tourbillon, this beautiful watch is also in-built with an array of astronomical functions. When we’re not obsessing over the astrological zodiac indicator or the sidereal calendar, the design of this watch is simply spectacular. 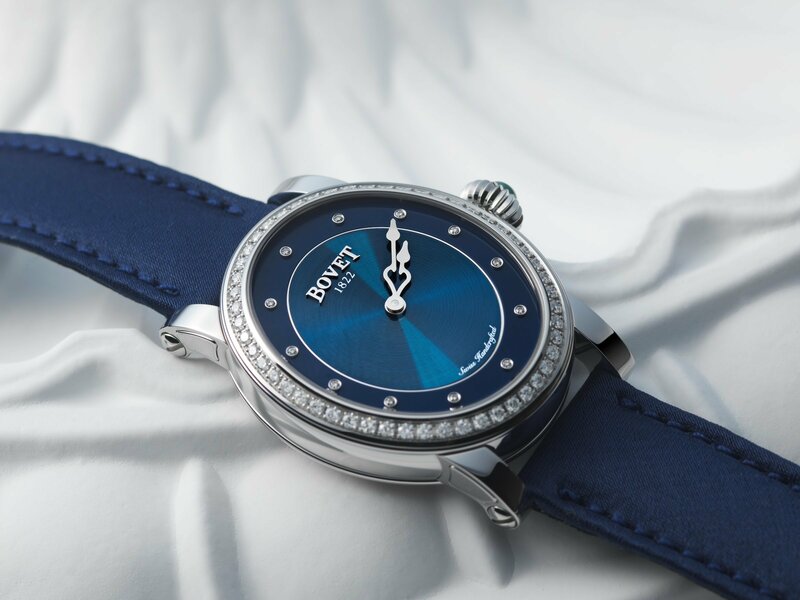 With deep blue accents, this watch is available in red or white gold & platinum – a true masterpiece. Minimalistic yet charming, the Récital 19 Miss Dimier is perfection. For a more minimalistic celebration of the craft of watchmaking, the Récital 19 Miss Dimier is perfection. 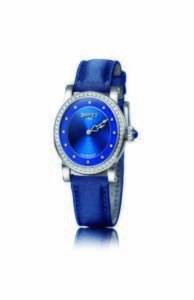 On showcase in a brilliant blue colour, this self-winding watch is simple, yet charming. Adorned with diamonds, this is one piece which is bound to catch people’s attention no matter where you go. The showcase was a true celebration of the art of watchmaking. With a selection of so many spectacular watches on display, the Bovet 1822 showcase was most definitely a celebration of the finest in horology. Combining aesthetic with pure talent and heritage, the showcase was a true celebration of the art of watchmaking.